Choose one of these Raleigh Florists and have a beautiful, hand arranged flower bouquet delivered today. Same Day Flower Delivery available from most shops until 2:00 P.M. in the recipients time zone. Local Raleigh, NC Flower Delivery from the talented and reliable florists listed below. Raleigh florists call this "Smithsonian of the South" home. Incorporated in 1792, Raleigh, North Carolina is one of the few cities planned and built specifically to serve as state capital. The state leads the country in tobacco, furniture, brick and textile production and is actually the largest producer of sweet potatoes in the world. With the progression of the high tech industry, Raleigh's economy has diversified somewhat and is now made up of a range of industries including banking, telecommunications, medical research and paper production. This has led the NC Department of Agriculture to step up its efforts to support local farmers and the agriculture industry in general. In addition to hosting the NC State fair, the city also hosts several Raleigh flower shows for local Raleigh flower farmers to sell their product. There are farmers markets throughout the city and state-wide that also help to support local Raleigh flower and vegetable farmers. These markets bring the farmers together with local consumers as well as owners of Raleigh flower shops and local Raleigh flower designers all looking for the freshest products available. Raleigh florists who shop at the markets often have product in their stores that have been cut that same day helping to give Raleigh flower shops' customers access to the freshest and most beautiful blooms available. The state has also started a program to encourage farmers to get in to Agritourism. These are farms that open their doors to people to come pick their own, and there are more and more of them literally cropping up across North Carolina. Raleigh flower farmers invite flower lovers to come pick their own blooms and several Raleigh florists visit local farms on a regular basis to buy smaller quantities of the flowers they need as opposed to placing larger orders with wholesalers. Raleigh flower farmers aren't the only ones embarking on this business venture. Several other farms have opened their doors to the public making things such as apples, Christmas trees, berries and pumpkins all available in the pick-your-own varieties. Families, schools and other community groups visit these farms for both recreational and educational purposes. With modern times taking the economy in several new directions it's nice to see governments supporting the agriculture industry. After all, it is farmers who feed cities. 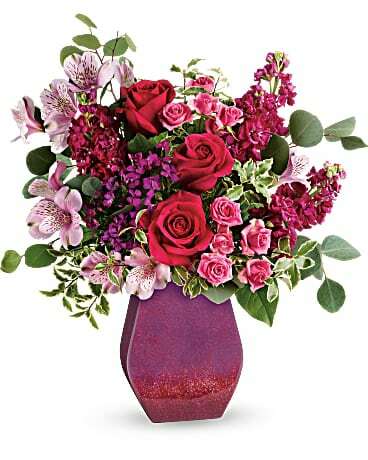 Trust our florists in Wendell or Moyock flower shops to send flowers. Flower arrangements from our flower shops in Knightdale and Garner florists are always hand-arranged and hand-delivered in a beautiful vase. For the freshest flower delivery, go with real local Holly Springs florists and neighborhood Cary flower shops close to where your recipients are located. Louisburg florists can also help you send flowers to any nearby city. We only deliver to 27614, 27615 & 27616. Provide Beautiful Floral Arrangements Call or visit us Today! !